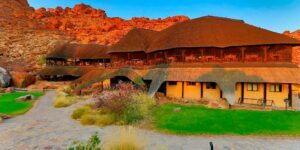 Accommodation in Damaraland & Kunene region. Book your Kunene lodge. Accommodation on the banks of the Kunene River located between Ruacana and Epupa Falls. Accommodation can be booked at a lodge or camping site. 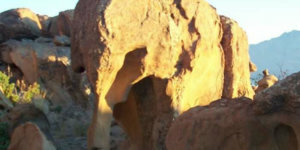 This part of the Kunene region offers many activities & day trips. A cultural visit with the Himbas is a fascinating experience. Take a cruise or fish on the Kunene River. 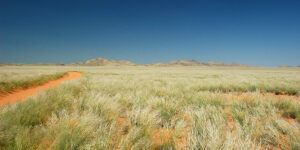 Twyfelfontein is a popular destination for travelers and offers many activities & day trips. Twyfelfontein is a World Heritage Site and the nearby rock paintings and petro glyphs are a must visit. 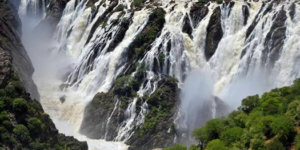 The surrounding area is spectacular offering surreal landscapes and many attractions. Book your lodge directly and save. 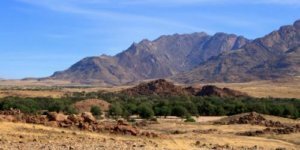 Uis is located in Damaraland approximately 30 km's from the massive Brandberg Mountain. Stay in Uis and do day trips to the White Lady rock painting. There are about 45000 rock paintings of which some are over 2000 years old. Visit the Doros and Messum Craters. 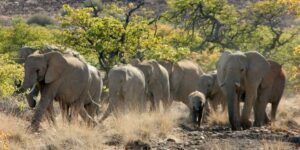 Guided desert elephant tours are recommended. Huddled in the rocks, with sweeping views across the Aba Huab valley, Camp Kipwe is full of surprises, starting when guests first arrive. It appears as if rocks have tumbled down the hill to reveal this gem of a camp.